Cashless Parking; No Change? No Problems. A few weeks ago I was given a job that involved some work at Monash University. I was reasonably aware that I may need to pay for parking. 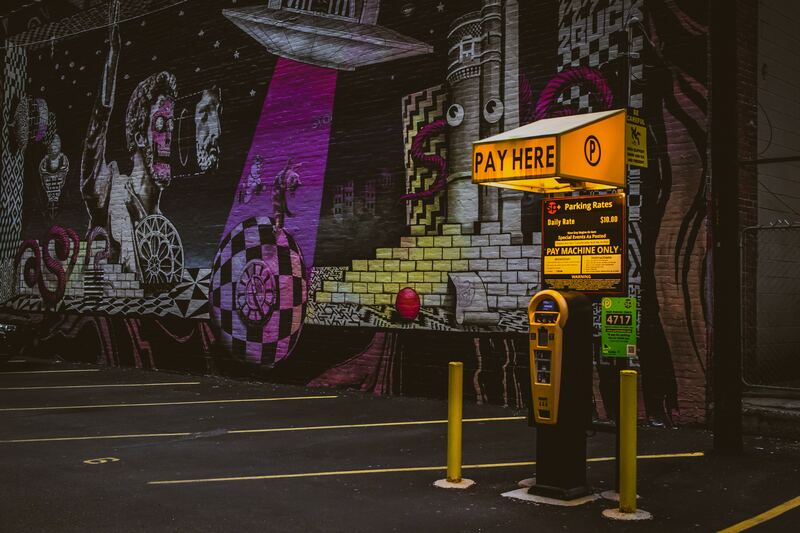 I never carry cash, so I was ready to combat the cashless parking systems with my credit card. But, as it turned out this was not an option this time. The first stop over I had was at the Peninsula Campus in Frankston. I was ever diligent looking for a free space, but time was a premium so I pulled into a spot and headed over to the pay box. Unfortunately, I never carry change and the few dollars I’d kept in the console of the car had mysteriously vanished. But, armed with a credit card I thought I had the system beat. A swipe with the card on the machine and selecting an hour, as it was the minimum, but NOTHING happened! I tried again, and the result was the same. I know how ruthless the private parking army can be, so I checked the machine again. It turns out that if you pay with a card the minimum amount payable was ten dollars! Well I wasn’t having that, so I figured I would risk it and went about my job. After a about twenty minutes I returned to my car and happy to see no fine, but they could have made the pay system much easier, in my opinion. The next stop was at the Clayton campus. Clayton is much bigger and busier that the Peninsula campus, and here they have security guards on all the parking. There was no way I was risking leaving the car without a ticket. I tried to find a spot that was free from pay parking, but there was nothing. Although I’m fairly certain private parking fines can’t be enforced, it was not worth the risk. I decided that if it would cost ten dollars to avoid a fifty dollar fine than it was worth it. After I parked I spotted a sign, something about using a parking app?! Now I love using tech to solve small problems, so I downloaded to app and poked about its innards. 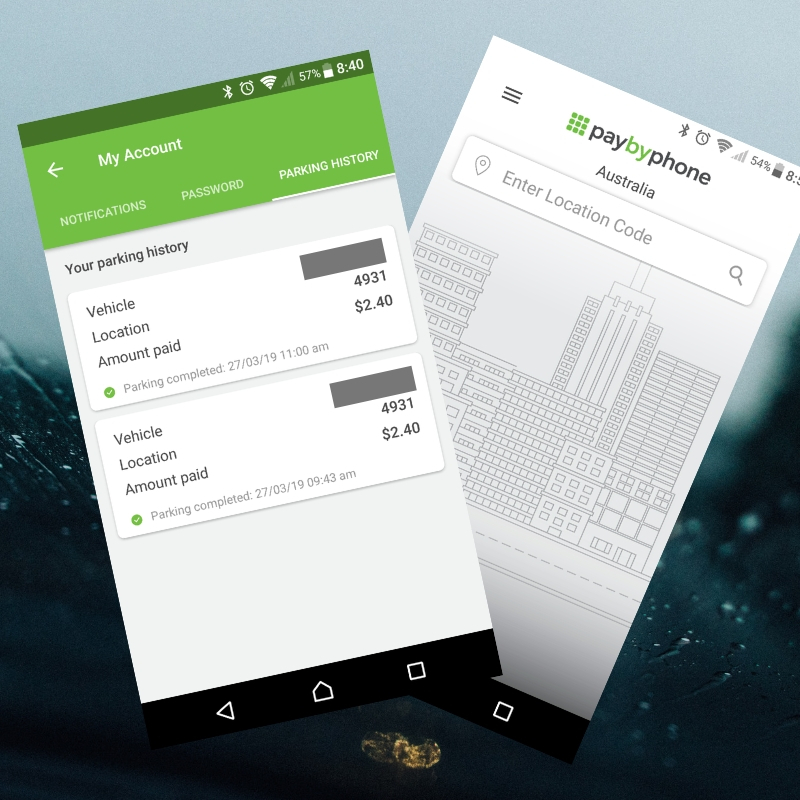 The PayByPhone app was the answer to my cashless parking problems. There was no need for a minimum spend, beyond the usual 1 hour. It did not take very long to set up and I could see myself using the app in the future – I’m very wary of apps that seem to have a singular purpose. I didn’t think my job was going to take longer than an hour, but some miscommunication meant that it did. The app gave me a warning that the ticket was about to expire and I had the option to pay for more time. This is something that is not possible when using a traditional ticketing system. This by itself makes the app worthwhile, as I have received many tickets purely because a meeting went longer than expected. As you can see in the screenshots, the app saves your parking history, which is excellent when it comes to claiming that parking amount on your tax return, no need to keep hold of those disappearing ink paper receipts! While I was skeptical at first, as I never like handing over credit card details, I really enjoyed this experience and would happily use it again. In using an app like this there have been many times that I would have avoided a fine. I feel that the app could use some extra information, perhaps a map of paybyphone accepted places. I’m not sure how new this parking system is but I hope it continues to roll out in many more places. Oh, and when I did return to my car the parking inspectors were in full force. Rob has traveled extensively in Australia and uses his experiences to write compelling stories. He enjoys testing out new technologies that are designed to make life easier. He is married with two children and lives in the outer suburbs of Melbourne.